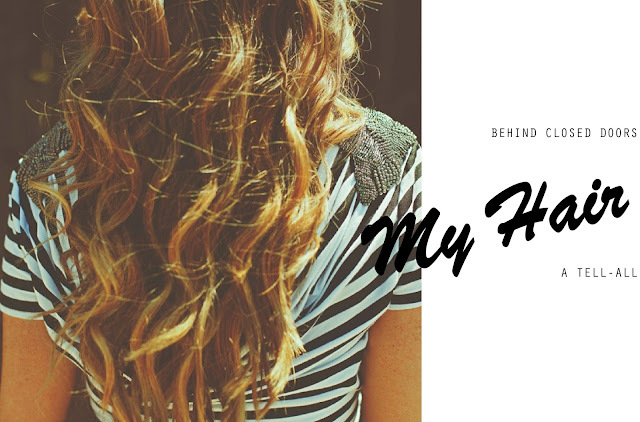 After much demand, I decided to put together a brief tell-all hair care guide (wow, that makes me sound super important!) including tips, my products, & photos. I have now had ombre hair for approximately 2.5 years, and funnily enough, my hair has never been in better condition. My hair is naturally straight but I always seem to gravitate towards curling it every time. I use a curling iron (I plan to do a tutorial one of these days), which can cause a lot of damage hence the many products and procedures. As far as my hair color goes, I have always been terrified to change color completely. My roots (the darker brown on top) is my actual natural color. The beauty of balayage instead of regular highlights is that I only get my color done every four to five months. I really like the balayage technique because it's more natural looking and the colorist paints on the highlights, scattering them throughout your hair in a more sun kissed pattern instead of using foil. I am guilty of splurging on hair products because I like to believe it is my most prized possession. My colorist introduced me to Shu Uemura about two years ago and I haven’t stopped using it since. I use the velvet nourishing shampoo and conditioner but I love all of their products. Although a bit pricey, it creates a velvety texture and leaves my scalp feeling clean, smells good, and my ends soft and moisturized. Since I curl my hair consistently, I use the Shu Uemura Essence protective oil. It rapidly absorbs into my hair fibers and creates a shine and protective layer from all of the heat styling tools. In addition to that, I also use the Sally Hershberger Keratin Spray to restore my roots and prevent split ends. 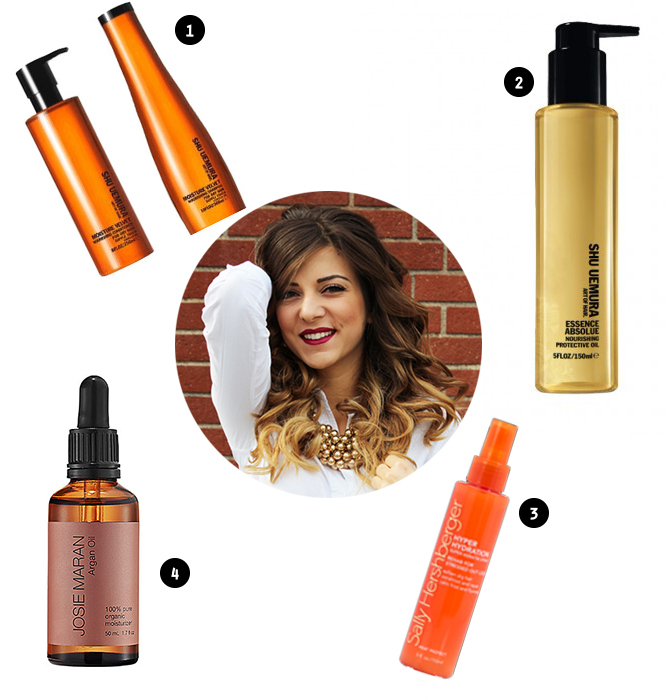 Last but not least, organic argan oil has been trending recently for nails, skin, and hair. I use very little on damp hair on my ends for deep moisture, to prevent split ends, and it keeps it healthy. Try to always use some sort of protective oil before using styling tools to prevent split ends and to keep your looking shiny and healthy! I hope you enjoyed my tell-all hair guide! Your hair has an amazing color! !